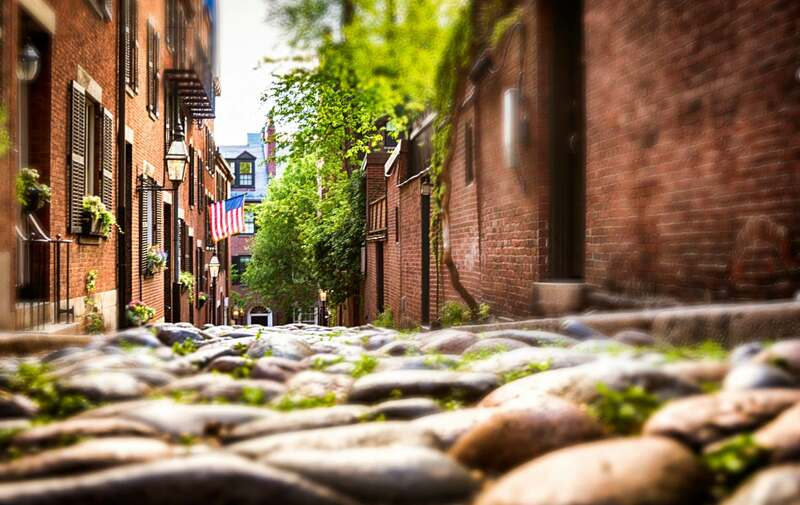 Boston may be major city in New England, but you will not feel overwhelmed when you’re walking around. Make no mistake, our city is perfect to explore by foot from our centrally located downtown boutique hotel. 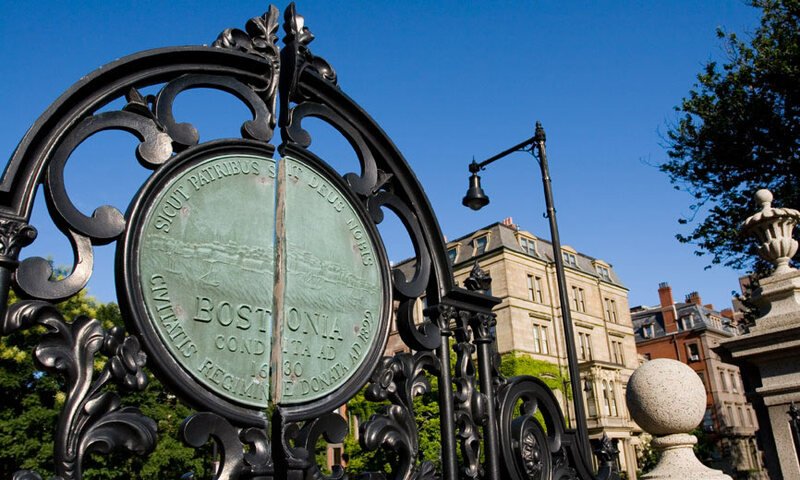 In just 20 minutes, you can stroll from our “central park” the Boston Common down to the waterfront and pass major historical attractions, shops and food purveyors along the way. Once you get to the water, a new adventure awaits. Here you will find a collection of lively restaurants, exclusive shopping & an appreciation for the arts & architecture. This burgeoning Boston neighborhood already offers so many things to do, imagine what will arrive here in years to come. There is truly something to see for everyone along the Harborwalk. In some areas, the Harborwalk may be a series of observation points where the public has the opportunity to view at the exciting operations of a working industrial port. 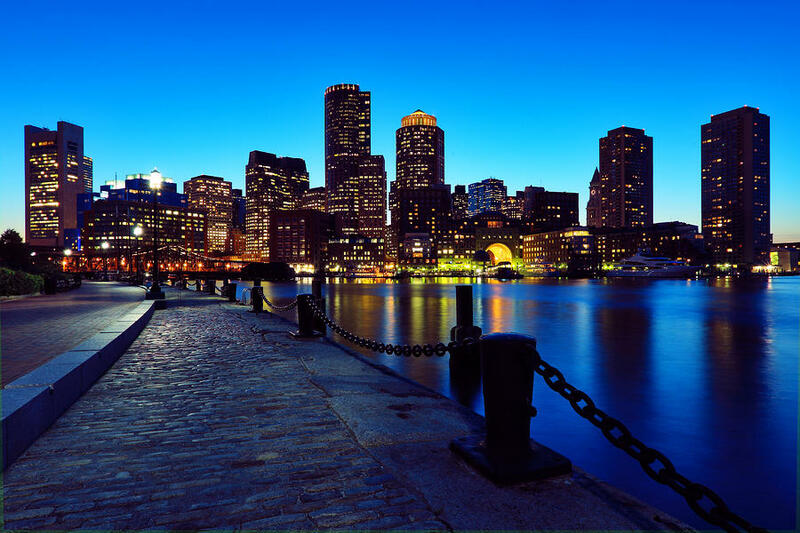 Whether visiting with penguins at the New England Aquarium, strolling among the wisteria in Christopher Columbus Waterfront Park, or taking a dip in the Mirabella Pool, the Downtown & North End portion of the Harborwalk is certain to delight with it’s vibrant mix of cultural and recreational resources. 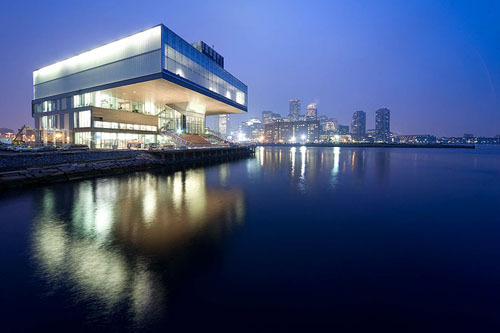 The Boston Children’s Museum and the Institute of Contemporary Art can be found in the Fort Point Channel section of the Harborwalk, abound with energy and a vibrant mix of uses, including artists’ studios and the bustle of South Station. 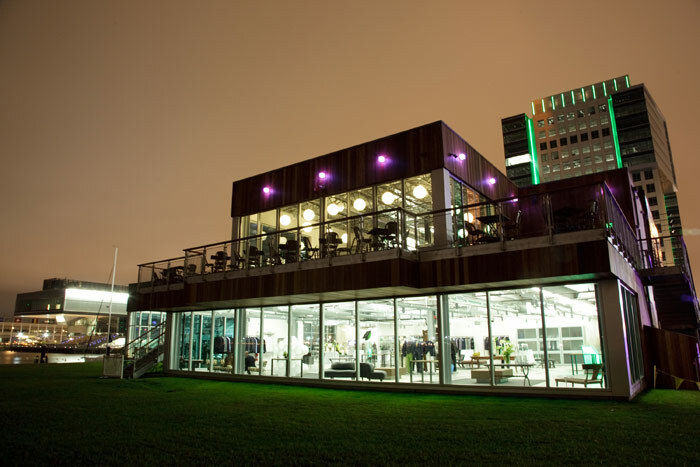 Its eclectic architecture ranges from historic, brick warehouses to the towering Federal Reserve Building. Strega Waterfront: The North End’s most infamous Italian eatery – known for it’s flashy decor, celebrity clientele, and outspoken host – opened a second restaurant in the Seaport District in 2010. Offering a modern twist on classic Italian dishes, this dazzling hot spot is certainly worth visiting. Sam’s Boston: This upscale bistro on Fan Pier offers a fun environment with live music every Friday night, and their menu has a little bit of everything, focusing on fresh, local ingredients. A fabulous pick for lunch or dinner. If you have a vice for luxury shopping, then go for lunch and shop the collection at Louis Boston, our city’s most exclusive department store, which happens to house Sam’s in the same building. Happy-hour visitors might also enjoy catching a beer and a Red Sox game on the “Monster Wall” (Imagine 32 HD 46″ plasma screens) at Jerry Remy’s Sports Bar. Perhaps sipping an ice cold margarita at Temazcal Tequila Cantina watching the cruise ships set sail by the newly revitalized Harborside docks at the Boston Cruiseport sounds like a relaxing evening treat. The staff at Clarendon Square is happy to make recommendations and arrangements to ensure that your time spent in Boston exploring the waterfront is enjoyable for all. This entry was posted in Uncategorized and tagged boston boutique hotel, Boston Dining, boston harbor, boston waterfront, harborwalk, ICA, Louis Boston, Sam's, things to do in Boston by admin. Bookmark the permalink.